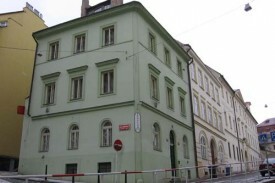 The pension is located in a quiet street in the very heart of ancient Prague. This part of the city has been - on account of its uniqueness - included in the UNESCO List of World Heritage Sites. Lovers of history will certainly be pleased to hear that our pension is within a ten-minute walk from the Charles Bridge and even within a five-minute walk from the National Theatre. 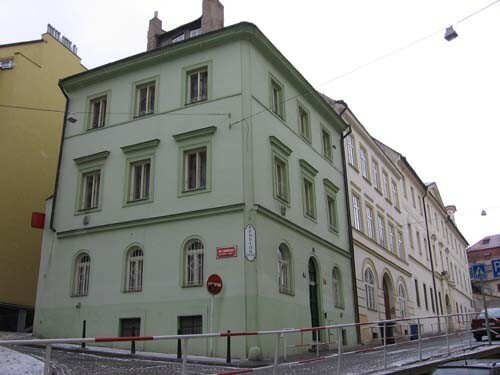 Our guests can fully enjoy Prague's night life, because there are several rock and jazz clubs only a couple of streets far from the pension and also the renowned disco club Karlovy lázně (Charles Spa). If you long for romantics, you can set off for a charming cruise - on a steamboat or on a boat - on the Vltava river. The river bank is a three-minute walk from the Zderaz pension. Do you want to surprise your beloved ones with a typically Czech present? No problem! You'll find various souvenir shops and shops with the famous Czech crystal in the vicinity of Wenceslas Square and Old Town Square, mere 10-15 minutes of walk from the pension. The house in which our pension is situated was ranked among cultural monuments. Its origin reaches back to the half of the 16th century. It was rebuilt in the classicist style in 1842 and it has retained that form up to now. 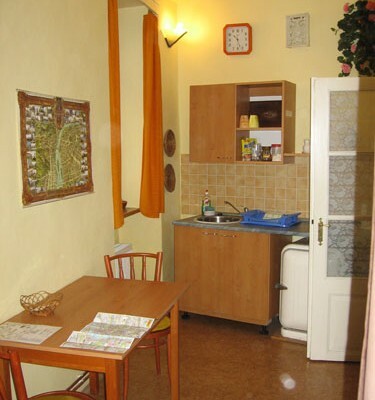 In each apartement, you will find - apart from comfortable beds - a kitchen which is fully equipped (pots and pans, electric kettle, tableware) so that you could prepare even the most complicated dishes. 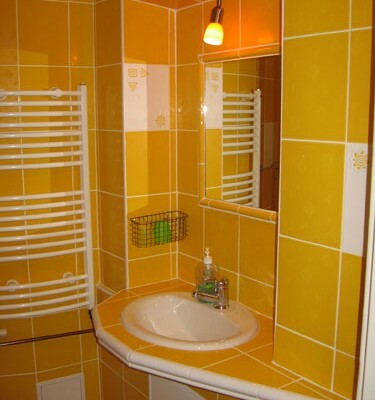 Further, in each apartment there is a toilette and a shower. There is also a radio in each apartement and you also have the opportunity to borrow a TV with a satellite. The apartments are ideal for families with children. Dog darlings are also welcome in our pension. We provide the wi-fi connection, TV and satellite for a small fee. *: Prices are estimates and are subject to change. For the most recent prices, please check the website of this accommodation. Are you the owner of this accommodation? Manage your pages here. No experiences yet with Zderaz pension. Be the first! Did you stay in Zderaz pension? Let us know what you thought about it and help others to make the right choice! * I confirm having stayed in Zderaz pension. 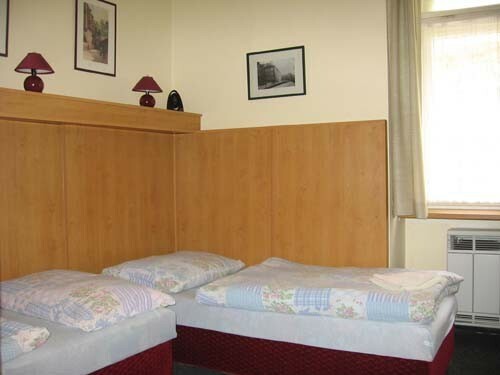 Find other bed & breakfasts in Prague.